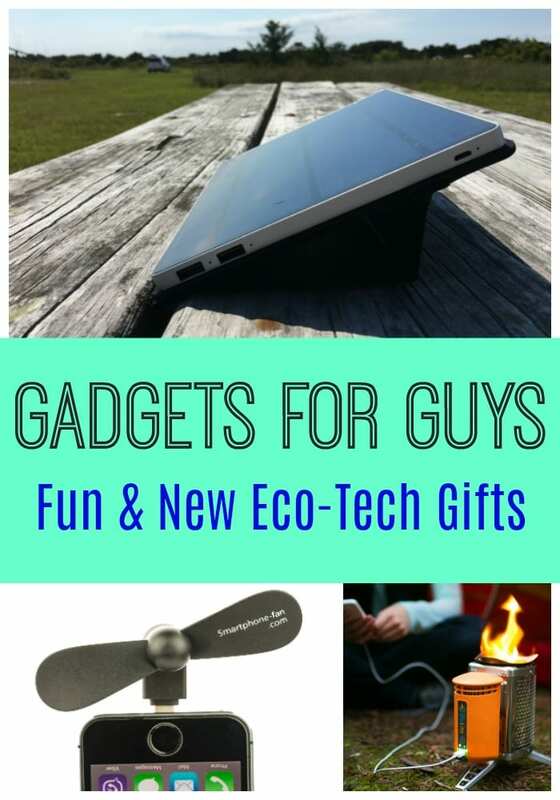 Great gadgets for guys often involve some cool new eco-tech. Tiny little gadgets that are able to produce power, kill nasty things and save you hours of time make perfect gifts, right? 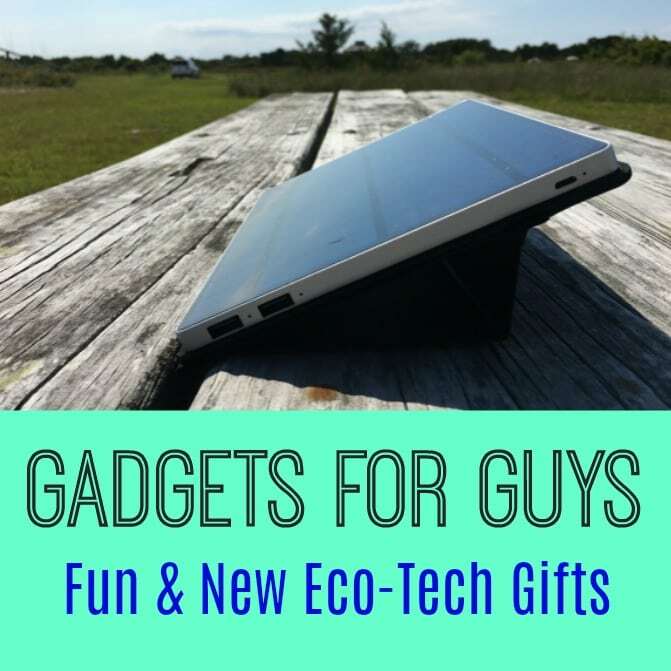 While tech gadgets are great gifts for the guys in your life, I’ll be the first to point out that I own several of these eco-tech gadgets and want to buy the rest, too. So let’s consider this gift guide the perfect eco-tech gadgets for anyone. 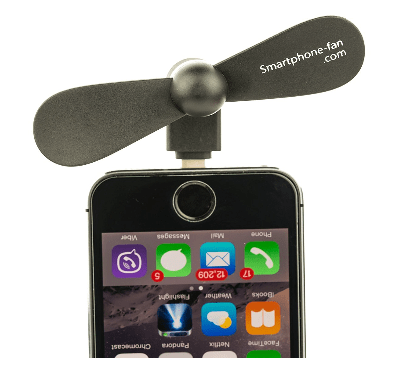 When you’re hot and no air conditioning can be found (think of standing in line at Walt Disney World), this brilliant Smartphone fan that attaches to your iPhone will cool you down and soothe tempers before they flare. Attaches to any iPhone, Apple product or with a Lightning Cable. Buh Bye meltdowns! Consider this bundle of fan attachments for Android. 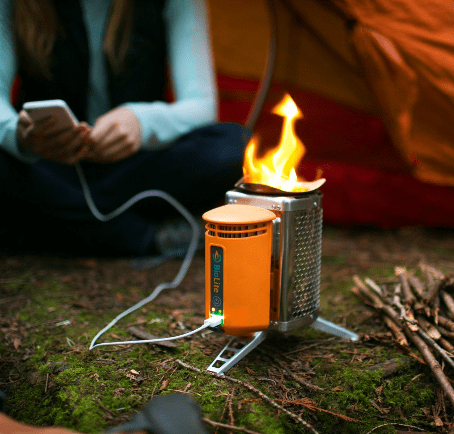 I have wanted a BioLite Wood Burning CampStove ever since I first saw one. I have yet to make my dream a reality, but you can make someone’s day by giving them this ultra hip wood burning stove that converts heat to electricity to charge your electronics. A small fire in the compartment can create enough power to keep you charged up on the trail or in the backyard. Perfect for tailgating, camping, or just being that cool person with a fun new gadget. 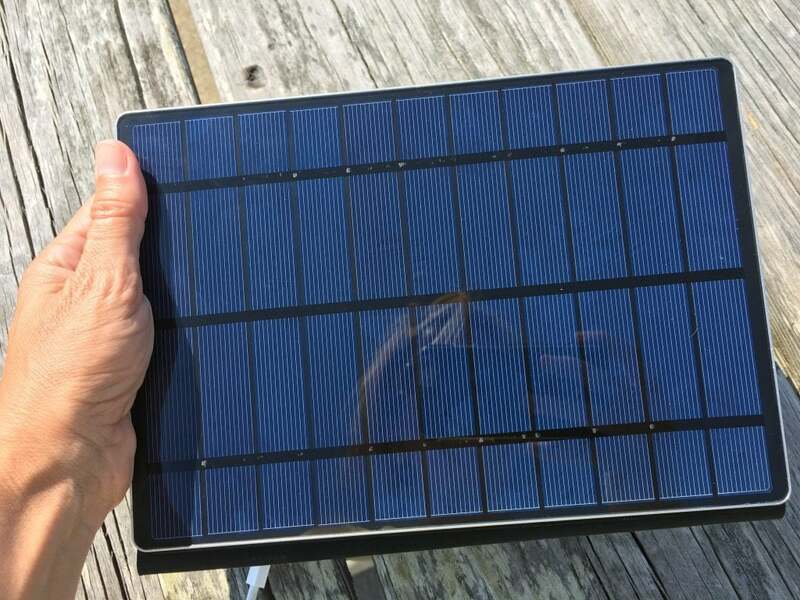 This Solartab Solar Charger is the one that I have, and let me tell you it’s great for emergencies! 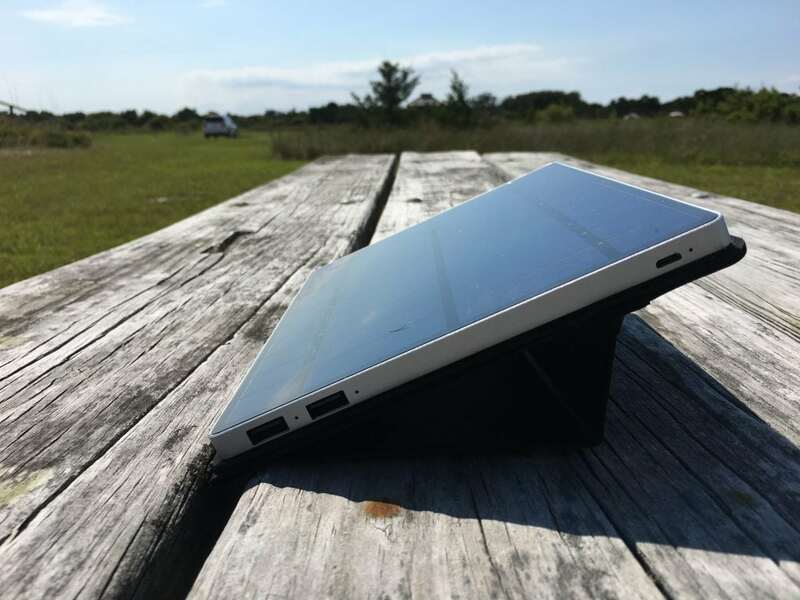 Lightweight, thin and compact, and so super easy to use, all you have to do is lay it in the sun. That’s it. And, yes, it does harness all of that solar power. While camping off the grid in Cape Hatteras National Seashore, we had one of these to power up our electronics. All we needed to do was lay it on the picnic table to charge. We also put it on our car dashboard while driving. It’s thin profile doesn’t make it obtrusive at all. On a full charge, we charged up one iPhone and still have 3/4 power supply left. I originally had it in my emergency kit, in case the power went out during a storm or disaster. Works great for off grid living, emergency preparedness, or just-in-case backup for day to day living. 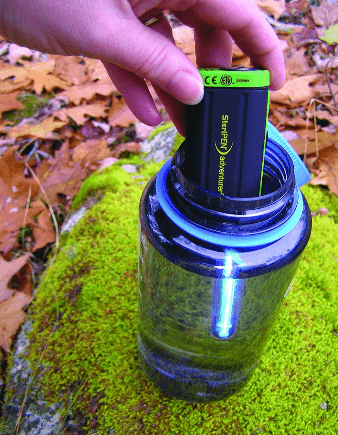 When you’re hiking or out in nature and desperate for a drink of water, that’s when you’ll want a SteriPen portable water filter gadget. 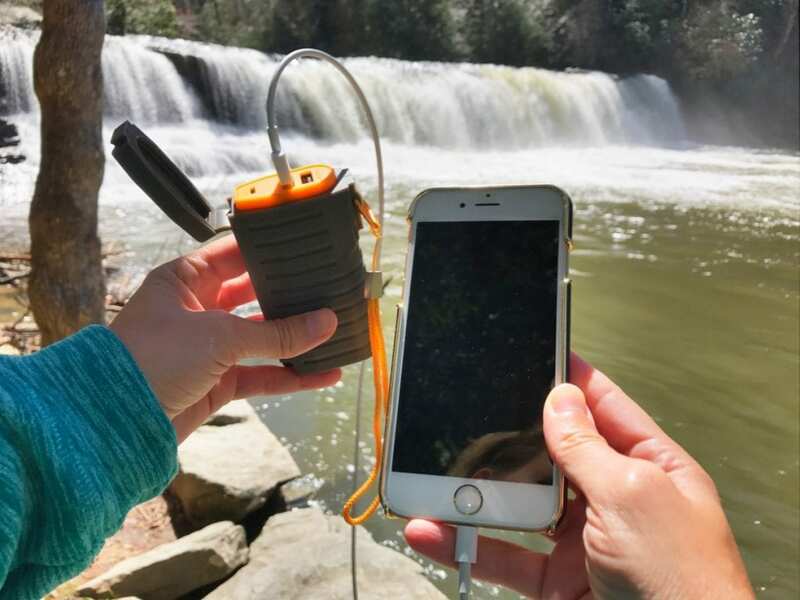 I’ve got one of these portable, pocket sized water purifiers that use UV light to kill all of the nasty stuff that can be found in water, even those seemingly-innocent mountain streams and lakes. I really feel more at ease having the safe, chemical-free technology to kill germs, bacteria and protozoa that can lay you on your back for a week sick as a dog if you drink the wrong water. This is the power pack that I’m using (It’s one of my favorite day hike essentials). Again, when we’re off grid camping, we charge it up beforehand and have at least four full charges for the phones when away from a power source. The ALL TERRAIN+ Portable Charger from myCharge has two USB ports, so you can charge two devices at once. Plus, it’s made for the outdoors, so it’s rugged and can stand up to wear and tear unlike other power packs. We use it when out for the day, too. You never know how quickly your battery might die, whether from talking on the phone, gaming, watching YouTube videos, or a social media blitz. Better to be prepared and have this handy gadget in your pocket or glove compartment for use when you have no power left. I’m sure there are more cool eco-tech gadgets that I don’t know about yet! Tell me what your favorites are and I might add them to the list! The fan attachment for a phone is quite an innovation! I can now use my phone as a fan also! Can you tell me how to order this?